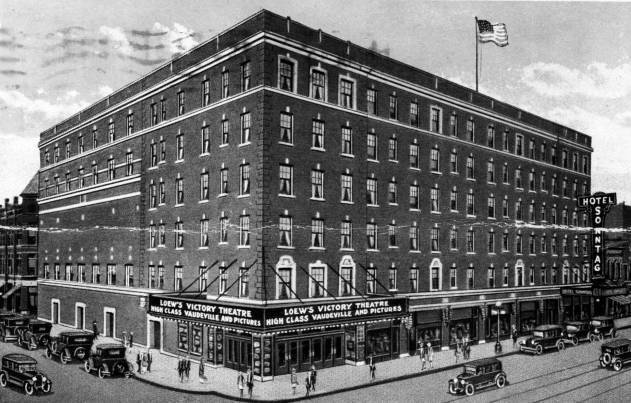 The Victory Theatre opened in 1921 as part of the Victory Theatre - Sonntag Hotel complex on Main Street. Originally seating 2,500, the theatre gave Evansville residents the chance to see "high class vaudeville" in a state-of-the-art setting. In 1926, the theatre was leased to Loew's Theatres as a film chain, and was renamed "Loew's Victory." The Loew's Victory continued to operate as a movie theatre until 1971. The building briefly operated as a teen-oriented nightclub in the late 1970's, and was added to the National Register of Historic Places in 1982. Victory Theatre's doors were closed in 1992 until it re-opened after extensive renovation in 1999. The theatre now seats approximately 1,900 and hosts a variety of events. Victory Theatre is managed by VenuWorks of Evansville.